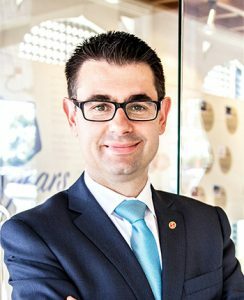 Swiss-Belhotel International has appointed Paul Uglesic as the general manager for Swiss-Belinn Muscat in Oman. Uglesic has ten years of experience in the hospitality industry working with some of the world’s leading brands. Making the announcement, Laurent A. Voivenel, senior vice president, Operations and Development for the Middle East, Africa and India, Swiss-Belhotel International, said: “We are delighted to welcome Paul Uglesic to lead the team at Swiss-Belinn Muscat in Oman. “Paul has a decade of strong knowledge and understanding of the hospitality sector as well as excellent pre-opening expertise targeted at achieving operational excellence and guest satisfaction. “I am truly proud to take up the position at the fantastic Swiss-Belinn Muscat in Oman,” said Uglesic. “It is an exciting adventure for me since Swiss-Belhotel International is a great brand to work for. Uglesic holds a bachelors’ degree in economics from the University of Adelaide in Australia along with several certifications and professional diplomas in hospitality management, hotel revenue management, and general manager’s programme from Cornell University. Expected to open this year, Swiss-Belinn Muscat is a superb 3-star hotel enjoying an outstanding location in close proximity to Muscat International Airport. Equipped with 128 rooms and suites, the hotel is being developed to offer its guests a comprehensive range of facilities including an all-day-dining restaurant, meeting space, gym, wi-fi access and 24-hours room service.